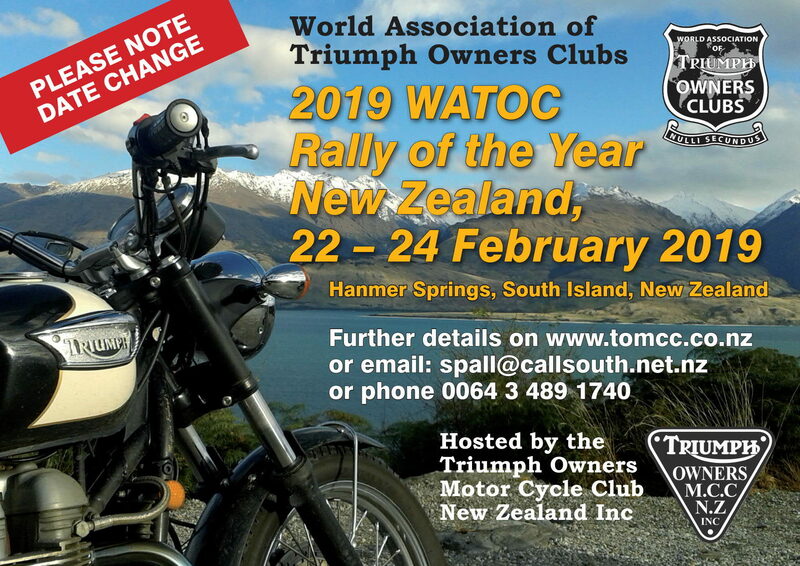 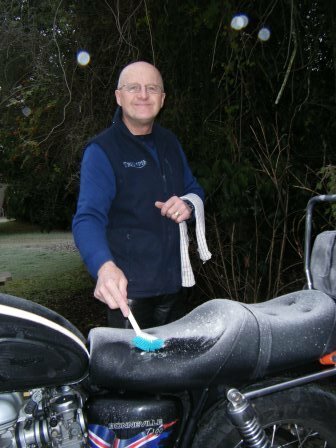 TOMCC News | Triumph Owners Motor Cycle Club NZ Inc. 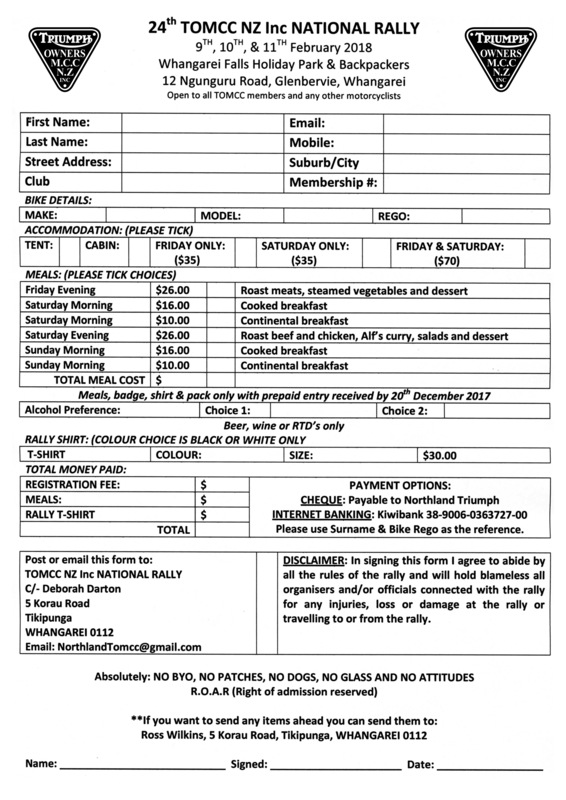 Note that the dates shown for the 2020 rally in the March issue of the Triumph Times newsletter are not correct. 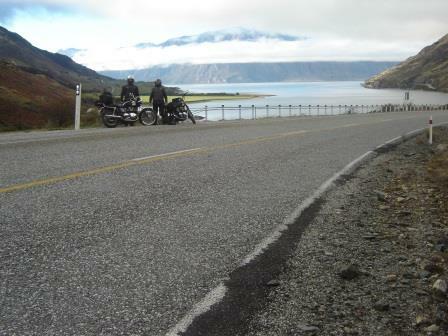 The rally will be held at Lake Wiritoa near Wanganui from Friday 14 Feb to Sunday 16 Feb. 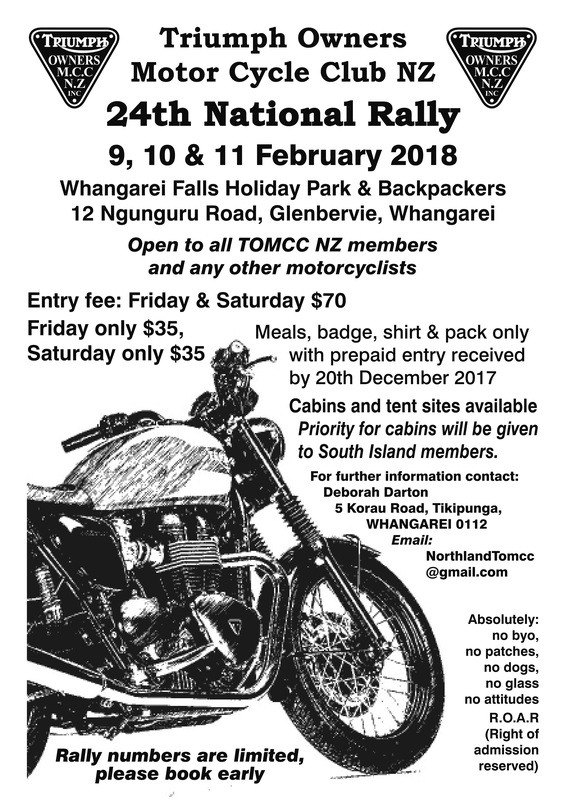 The 2018 National rally is hosted by the Northland Chapter see details below.